Working with sp_executeSQL? You’ve probably seen the Incorrect Syntax Near Go error at one time or another. 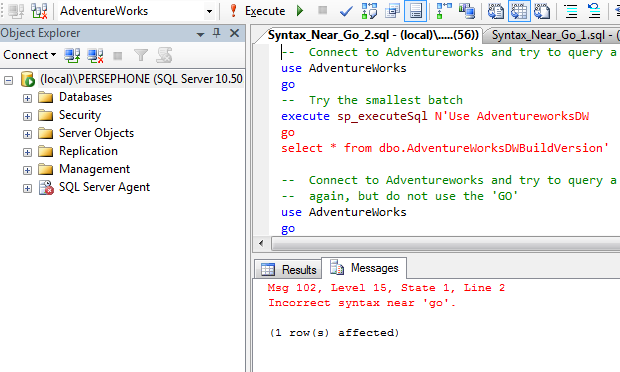 Incorrect Syntax Near go in SQL Server from Rudy Rodarte on Vimeo. If you still have questions, please leave a comment and we can work through your particular issue.